Caroline is away on holidays and just as I was expecting, I received an email today asking if I was going to be doing any TWD posting in the weeks she was away. 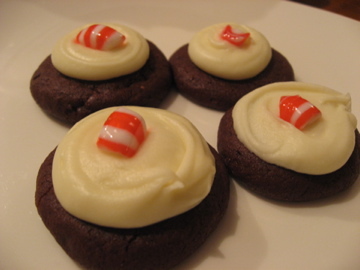 However, I had already bought the York Peppermint patties lastnight and I just baked them up this afternoon! 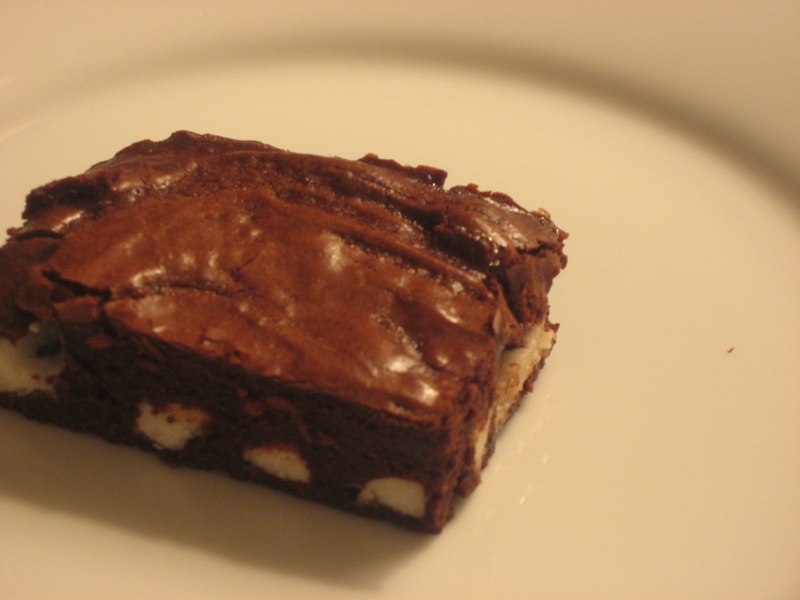 I have enjoyed Dorie’s brownie recipes thus far so I was pretty excited about this recipe, plus I love chocolate and mint! Also, I am going away this weekend with friends and I am happy that my baking might actually get eaten up for once! These brownies were fudgy and very moist. 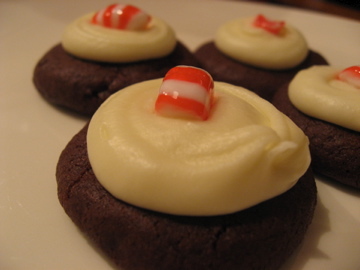 I loved the mint patties and I think these would make a great addition to Christmas baking! I will definately make this recipe again:) Thanks to Karen of Welcome to our Crazy Blessed Life for choosing this weeks recipe. So those of you who follow our little blog regularly would know that Claire usually always makes the brownies. This has never been done purposely but that’s the way it has worked out. I decided it was high time that I take on a Dorie brownie and seriously, chocolate, cream cheese and coffee, what’s not to love about this? I made some September resolutions. (I work in a college so to me the beginning of the year is actually September, plus it seems like maybe it’s easier to keep September resolutions as compared to New Year’s ones). These include making my coffee at home (cheaper and tastier), making more dinners (cheaper and tastier) and baking my TWD any day other than Tuesday night (perhaps cheaper and tastier, certainly less rushed). So this weekend I was in Waterloo, hanging with the girls and (and Chris) and I figured it was the perfect chance to start my resolutions. These brownies were a resounding success. We had a “no-coffee” drinker and a “not a big sweets” guy and they both dug these brownies. 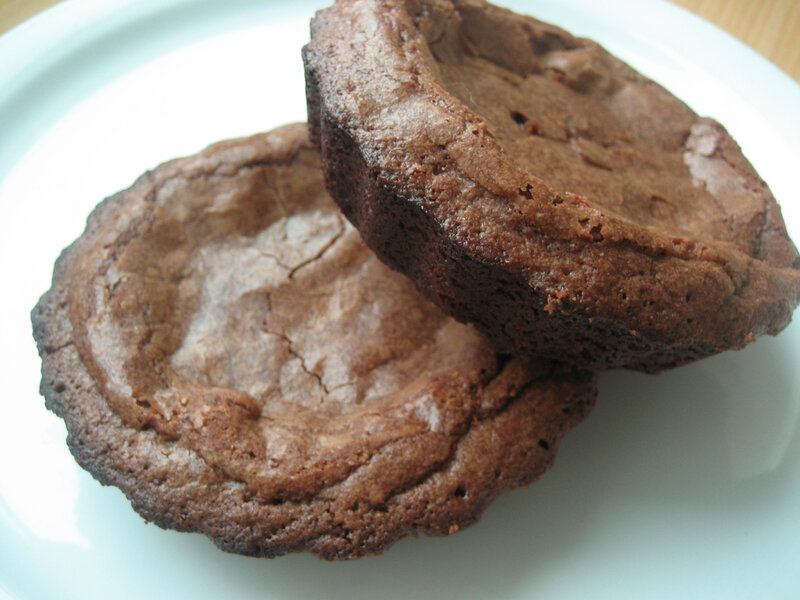 I loved them, I think cream cheese brownies are my favorite and the mocha flavor rocked. We decided not to put the sour cream glaze on because a) Kristin does not like sour cream and b) we just wanted to eat them ASAP. Thanks so much to Melissa of Life in a Peanut Shell for picking this recipe. Head on over to her blog to get the recipe and to drool over her amazing looking treats. 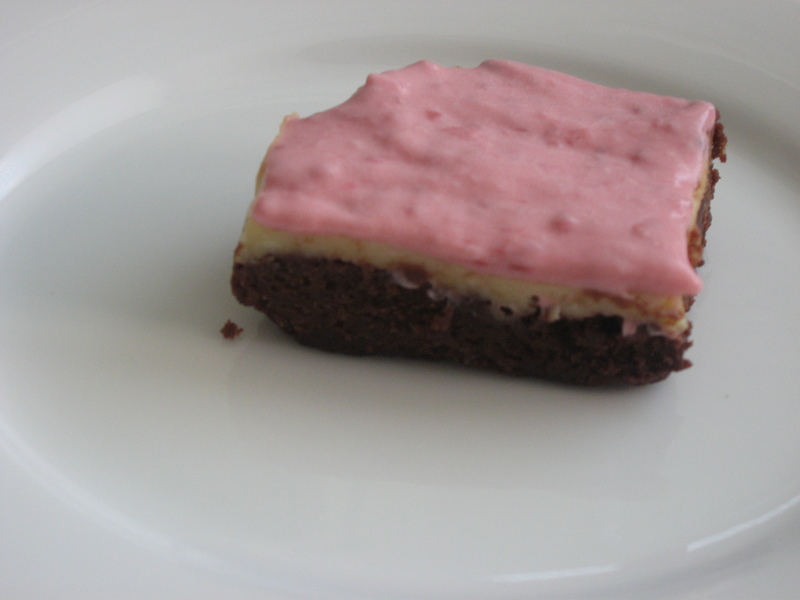 To see how other TWD bakers rocked out the brownies go Tuesdays With Dorie, no doubt you will find a new blog to follow.